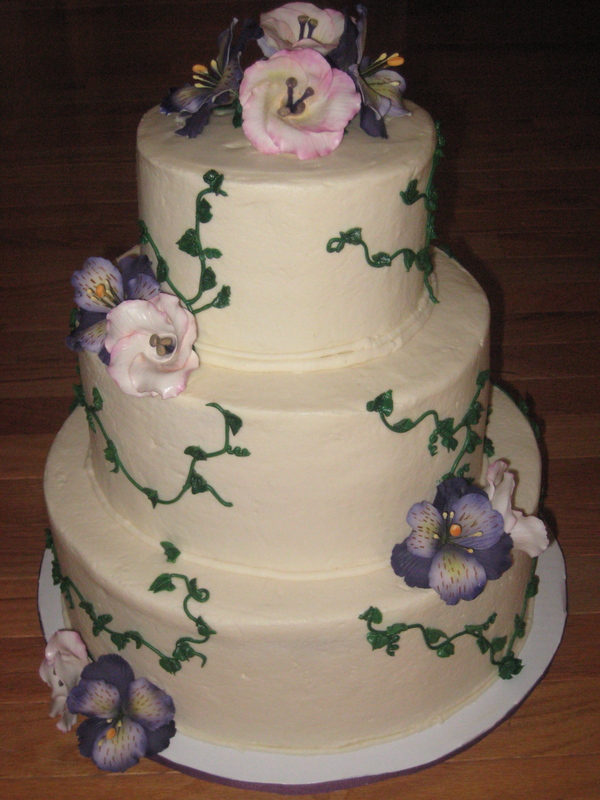 This cake was for the wedding of Erin and Greg Farmer. Now to always be know as Erin the farmer and Greg the farmer. 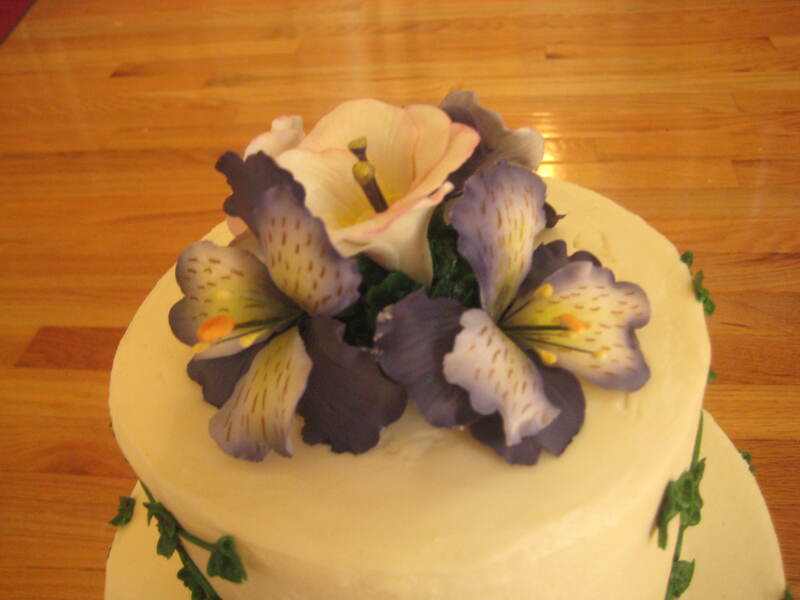 This was my first cake with wired sugar flowers, I really am happy the way the lilies came out. 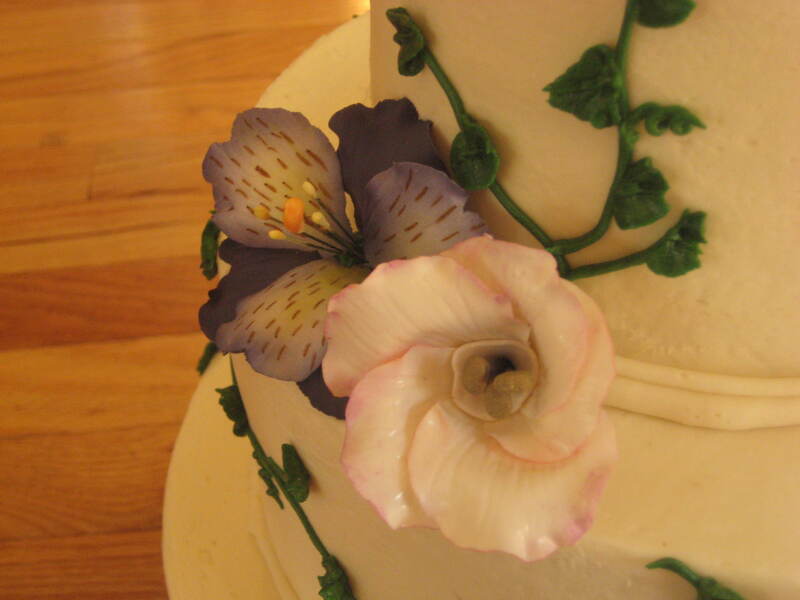 In hind-site I would have used fondant because the wedding was outside and it was HOT. But it all worked out fine. 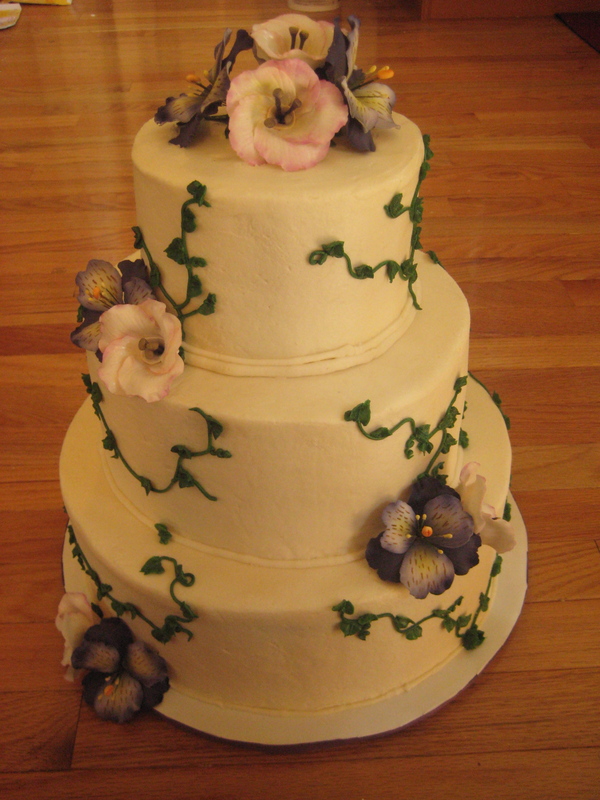 The flowers looked great though!